This is part 5 of a 6 post series on matcha contributed to World of Tea by Tyas Sōsen. Most tea farmers that produce tencha, only manufacture the tea until the ara-tencha, or the stage before the final processing where the rough dried tea leaf is further processed, cut and filtered. At this stage, the leaf is still too large to be successfully ground into fine powder, and the twigs may catch in the veins of the stone mortar, disturbing the smooth pulverizing of the tea. Therefore, before tencha can be processed into matcha, the leaf that is obtained from a farmer needs to go through a final series of processes in order to become a ready product. But, since it is uncommon for farmers to have in-house fine-tuning equipment, it is commonly the wholesaler or the tea vendor that watches over this process. But, why? You could ask. It would indeed save the vendor a lot of trouble if they could just purchase the finalized tencha directly from the farmer, and are only required to mill the tea to convert into powder. In fact, it is actually the vendors themselves that prefer this method. During the fine-tuning process, the producer has multiple options that will affect the final outcome of the tea, and since the most important factor in manufacturing matcha is its final appearance and flavor, the manufacturers treat the raw leaf according to their own preferences in order to create a stable and recognizable tea, indicative of their brand. This ‘branding’ through an indicative flavor begins when the tea is purchased. The more traditional purchasing method is called ‘iritsuke’ [入着け] and is indicative of what a contract would constitute between the farmer and the vendor, except that it is usually based on trust and good relations. In this case, the vendor may have relationships with various producers of his own choosing, and when the new tea becomes available, he purchases directly from them. Another, more contemporary method is the ‘hinpyōkai’ [品評会], or ‘tea auction’. An auction for tencha is only held in Kyoto at the Kyoto tea market (only accessible to members), which opened in 1974. At such an auction, producers from throughout the entire region bring their tea to the market for tasting. Wholesalers and vendors taste different teas without knowing who produced them, and assesses them according to quality and price. For the teas one wishes to buy, they submit a bid. What is interesting here is that when matcha is produced, manufacturers don’t assess the tea in its final powdered form, but through evaluating the raw tea leaf. 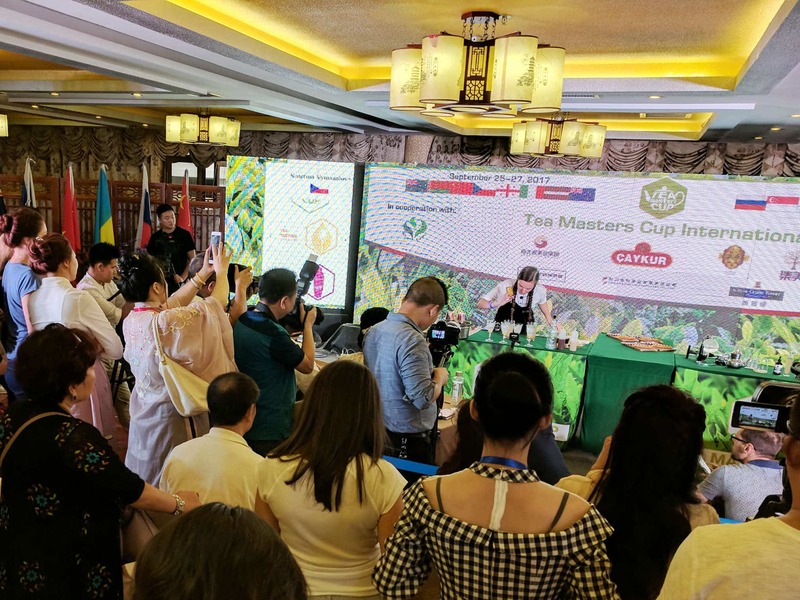 The reason behind this is that the ‘tea masters’ – which are the people who control the final processing and blending of tencha – have a clear idea of the final tea they wish to produce. When they go to an auction, they look for specific flavors, aromas, colors, etc., that will prove useful to them in the final blending stages. Commonly tencha is blended by combining three variations (mitsu-gō [三つ合]) of tea leaf that is selected by either cultivar or production region. Each variation is picked for a different trait being either 1) fragrance, 2) flavor, and 3) color. In short, the tea master purchases raw tencha leaf with the end in mind. The purchased tea then is chopped, filtered, and dried one final time before the actual blending begins. Only when the blending has been successful, then the tea can be referred to as a finalized tencha, ready for grinding into matcha. However, matcha is hardly ever stored in its powdered form. It is usually tencha that is kept in a controlled environment until the moment it becomes necessary as matcha. Only then, the tea leaf is brought out, milled using a stone mortar, and shipped to the vendor or final customer. Whereas it may seem less tedious to store matcha in its powdered form already, because the particles are much smaller than when the tea is still in leaf form, it is much more prone to oxidize and degrade. On the contrary, when stored in leaf form, the tea is allowed to age, and mature, is less prone to oxidize, and will keep fresh longer. Featured Image Copyright The Tea Crane. Tyas Sōsen’s unflagging efforts to spread better awareness of Tea “ceremony” is integral to his vision of the importance of (particularly Japanese) tea, as a healthy beverage contributive to social bonding, and an aid to spiritual refreshment. The paradoxical combination – of unbroken meditation with considerate alertness to the needs, comfort and delight of others – characterizing this rite being something of which he feels contemporary society to be in sore need, through constant workshops and presentations he strives to make the Way of Tea accessible to as many as possible – not as a performance, but, ultimately, an attitude to [OR a stance towards] being alive.